The art of selling is essentially the art of communicating effectively, so it is makes sense that car dealerships are especially dependent on their communications system. Unfortunately, dealerships with multiple locations often find that their communications costs go up dramatically as they expand. When Flow Automotive was faced with skyrocketing communications costs, they turned to Star2Star. 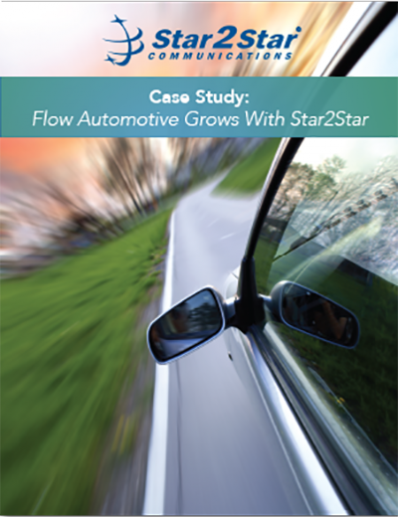 Read more to discover how Star2Star saved Flow Automotive money and added advanced UC features that improved the dealership’s operations.